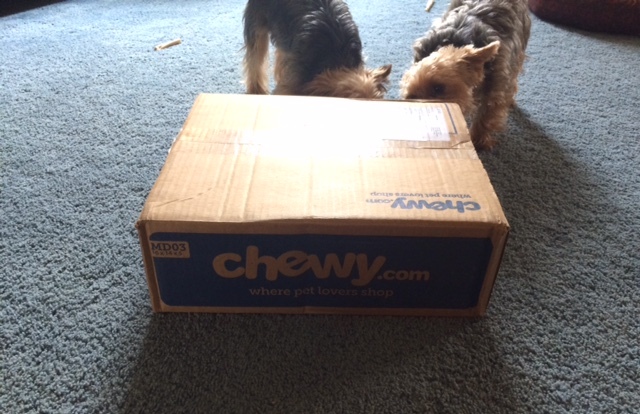 Artie, Buddy, and Coby are always so excited when their Chewy.com packages arrive at the front door. We always sit on the floor together to sniff them out and open them. 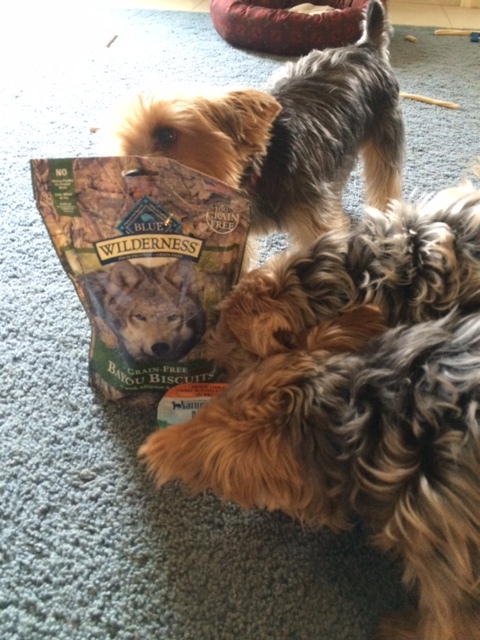 When we opened this package, they happily sniffed away at two new products to try! Both were a BIG hit for the trio! The two products that ABC willing tried this month were Blue Buffalo Wilderness Bayou Biscuits and Natural Balance L.I.D. (Limited Ingredient Diet) White Fish & Sweet Potato Formula in Broth. The crunchy baked biscuit will satisfy his love of meat and natural chewing instincts with the taste of real alligator, a nutritious high-quality protein that makes snack time even more exciting. For a truly complete bayou blend, it’s also loaded with delicious catfish and shrimp to drive him wild. They’re 100% grain-free and full of protein for a uniquely healthy treat. Natural Balance L.I.D. Limited Ingredient Diets expose your pet to only a limited number of healthy ingredients with White Fish & Sweet Potato Formula Flaked Grain-Free Wet Dog Food. Delicious flakes of premium white fish and sweet potato are cooked to perfection in a savory broth for a recipe that delivers all the essential nutrients your dog needs. With animal protein from just a single source, limited wholesome carbohydrates, and no grains, this L.I.D. formula makes a great alternative food for sensitive pets. To find out more information about these products and the many other pet products offered by Chewy.com, please visit their website. Your pet will be happy you visited and so will you when you discover the convenience of online shopping and delivery.